Tickets are limited, so register today! 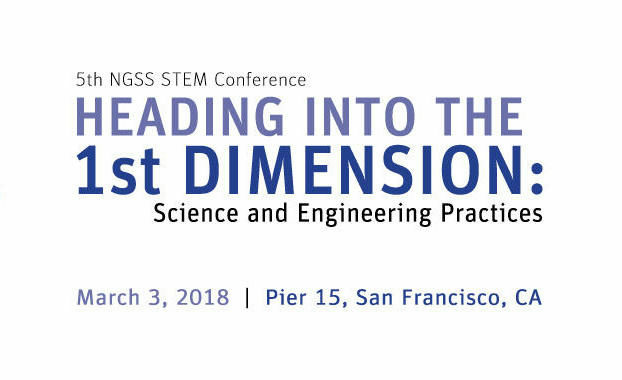 Travel to a new dimension at our 2018 STEM Conference, Heading Into the 1st Dimension: Science and Engineering Practices. This full-day conference includes a variety of workshops designed for teachers of grades 3–12 and featuring Dimension 1 of the California Next Generation Science Standards: Science and Engineering Practices (SEPs). Breakfast and lunch will be included, and participants will have access to all the conference handouts and activities online. One semester unit of Continuing Education credit will be available for an additional fee.